New from Donna Wilson!!! 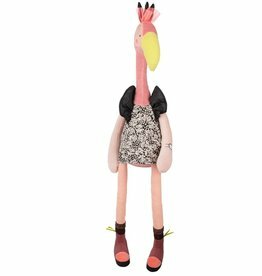 Flimsy Flamingo, a 38 cm tall pink flamingo who loves 80s movies, pink cocktails and palm trees. Let's cuddle the large pink lady Flora Flamingo! Hello baby girls! This is a perfect gift.